This is the seventh in a series of posts on this week’s OSCE “Supplementary Human Dimension” meeting in Vienna. More will be coming in the next few days. See the reference to a list of links at the bottom of this post for previous articles. 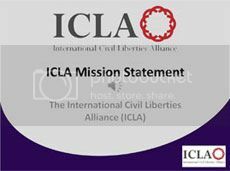 The following paper (official pdf version) was filed at today’s OSCE meeting in Vienna by International Civil Liberties Alliance (ICLA). It calls for the repudiation of the Cairo Declaration of Human Rights in Islam as having no relevance to what Western nations or the OSCE identify as human rights. 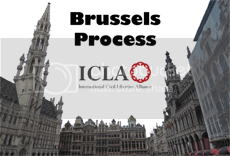 In reference to the excellent discussion of the universality of human rights, ICLA wants to draw attention to a deficiency in this field that can easily and usefully be corrected. Before we can discuss effective national and international human rights, we need to define the terms unambiguously. As most here would know, we have two main definitions of human rights, the UN Universal Declaration on Human Rights and the European Human Rights Convention, both sound human rights instruments. However, a third and potentially dangerous alternative definition exists, sponsored by the Organization for Islamic Cooperation (OIC), namely the Cairo Declaration of Human Rights in Islam. This declaration, originally drafted by the Iranian theocratic regime, makes each and every right subject to Islamic law, also known as Sharia. This, in turn, negates the very notion of inalienable individual rights and several other essential values. The Cairo Declaration is recognized as a so-called “regional instrument” by the United Nations, but rarely, if ever, used or referred to. It is thus functionally redundant, yet its approval creates an unneeded and potentially dangerous ambiguity in the formal definition of the human rights. For Sharia is incompatible with democracy and fundamental human rights, as stated in 2003 by the European Court of Human Rights, and thus the Cairo Declaration is equally incompatible with any meaningful definition of human rights, as well as with several OSCE commitments. Thus, to avoid willful misinterpretations of what “human rights” refer to, it would be good for the protection of human rights defenders to have the Cairo Declaration explicitly repudiated by those OSCE pS that also hold membership of the OIC. If they do not do so, they should provide a detailed justification for keeping this declaration on the books, and the intended use of it. OSCE makes a statement that the Cairo Declaration has no relevance to its understanding of human rights. OSCE pS that are also members of OIC explicitly repudiate the Cairo Declaration as being of no relevance, now or in the future, for the interpretation of “human rights”.